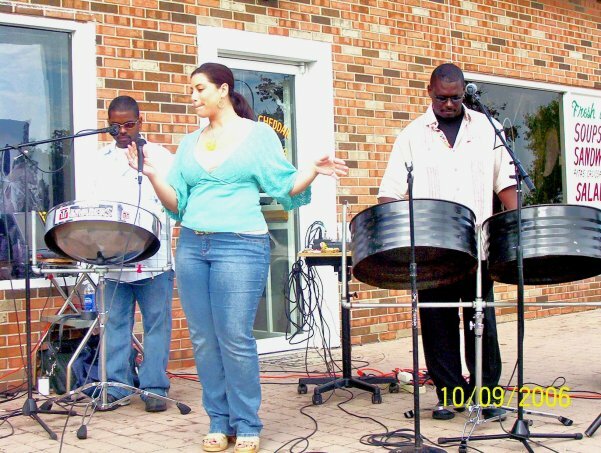 This Detroit Caribbean Band is one of the top bands in the Michigan area, the band was formed ten years ago and since then has gotten great reviews from the people of Michigan as one of the best bands they have seen and heard in a long time. The band's versatility is what sets them apart from everyone else, along with their energetic and vibrant performances particularly Caribbean music, from calypso, soca, salsa, zouk and reggae music, they can also provide our clients Jazz, Pop, Motown songs and blues music. This Detroit Caribbean Band is made up of different cultures and some of the top talents from the city of Detroit. The founder and Director of the band resides in Michigan but originally hales from Trinidad and Tobago where he mastered the art of playing the steel drums, His travels extends as far away as Japan, England, Scotland and France. 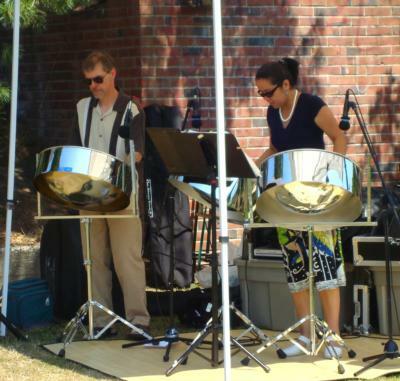 He also performed in numerous steel drum competitions in Trinidad and Tobago being victorious in many. The band consist of a bass player from Senegal, a drummer from Detroit, a keyboard player from Detroit, a percussionist from Detroit, a female vocalist from Trinidad and Tobago, a female vocalist from Detroit, a steel drum and keyboard player from Trinidad and Tobago and a guitar player from Ann Arbor Michigan. This Detroit Caribbean Band has performed throughout Michigan at venues such as Greektown Town Casino, The MGM Grand Casino, The Infinity& Ovation Yatch Company, The Caribbean Festival at Heart Plaza downtown Detroit, The African World Festival, Music Hall, Fish bones, The Bob, Bellville Grille, Arts Beats and Eats, Ann Arbor Art Festival, Lathrup Village Art Festival, Port Huron Art Festival, Farmington Hills Art Festival, Plymouth Art Festival, Art In The Park, Ford Field, Beach Grille, Detroit Yacht Club, Detroit Gulf Cub, Gross Point Yacht Club just to name a few. Their private engagements rang from Weddings, Pool Parties, Graduations, Children Events, Charity Events and much more, What ever the event they can provide the entertainment. We would like to thank you in advance for keeping this Detroit Caribbean Band in mind for your next event.